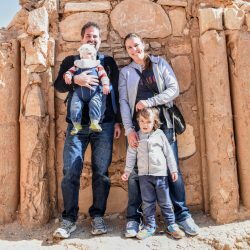 Number four in this series of guest posts is a Family in Jordan. Nicolas, Agnes, and their 3 kids have nearly explored every corner of this small country and enjoyed it so far. Here is their summary of what they experienced and felt up to now. Merci Beaucoup for this guest post. If you like this one, make sure to check out the other posts in this series of guest posts. A French version of the below article is available at their blog. The cultural and historical immersion in the middle-East. It is just vertiginous. Think twice about it: in which other areas (let’s include the neighboring countries..) can you equally find the origins of the 3 main monotheist religions and the existence of unaccountable civilizations? Let me just state a couple of keywords to illustrate: the Greeks, the Romans, the Nabataeans, the Ammanies, the Byzantines, the Acadians, the Sumerians? the Ummayads, the Abbassids? the crusaders? Plus, we enjoy discovering and (try to) understand all the subtility of a tribal society, where the religious aspects are of course of the utmost importance. This is why we spend a lot of time documenting ourselves on just every cultural subject that seems relevant to us. And there are actually quite a LOT of them: why is the kingdom called the Hashemite kingdom? And what is the difference between the keffiyeh and the shemagh? The (proper) way the family is considered in Jordan. It is completely opposed of what we used to deal with when we were in Paris. It seemed such a long time ago, and we really, really, really really don’t miss it. Hey, friends living downtown in big cities in France: would you consider letting your kids play outside in the street after the sunset? Not really? hmm… Well, here in Amman, this is hardly an issue. Insecurity or bad behavior towards the children looks like Sci-Fi around. When you go to a shopping mall, the last floor is usually ENTIRELY dedicated to food and entertainment for kids and family. In Arabic culture, the family is the core of the tribe, the elementary nucleus of all the society. A couple of months ago, my 5-years old son was invited by a friend in her house for a “small” birthday party downtown. When we showed up there, it just looked like DisneyWorld: inflatables attractions, 70 kids invited, candy shops in the garden, clown show… Overall, it is very nice to walk around with kids: people just like people with kids! Pollution. Pollution and trash situation and forgetness of sustainable development are just a nightmare in Jordan in general, and not only in Amman. We hike a lot, and we find a lot a wild garbage it just about every place we walk in. Less in the remote places, all right, where the trash appears to be more of an ancient issue. Would you imagine that in a capital city, there could be no way of recycling glass? Well, it is possible in Amman. The water situation is properly dramatic in Amman, and it is worsening? (and please visit RSCN Azraq wetland reserve if you don’t believe me 😉 ). Nevermind! Just let the doormen wash the cars every morning, wasting dozens of gallons so that the cars can appear nice and shiny. But unfortunately, there is no reason to be optimistic. After each weekend, the path I’m used to running is full of plastic bags and trash left by the local families having a barbecue. Here, a big effort should be done in education, but also in sanctionning. Otherwise, I’m afraid that all the best initiative would quickly reach their limits. And big up to ecohikers or ziadat4recycling, just to mention them. And I’ll stop the list this is it because we want to show that Jordan deserves more liking than disliking ;-). There would be no 4 negative aspects of our life here:-). go to Disah (Wadi Rum northern village) and attend to the annual camel race in November. It is really fun. 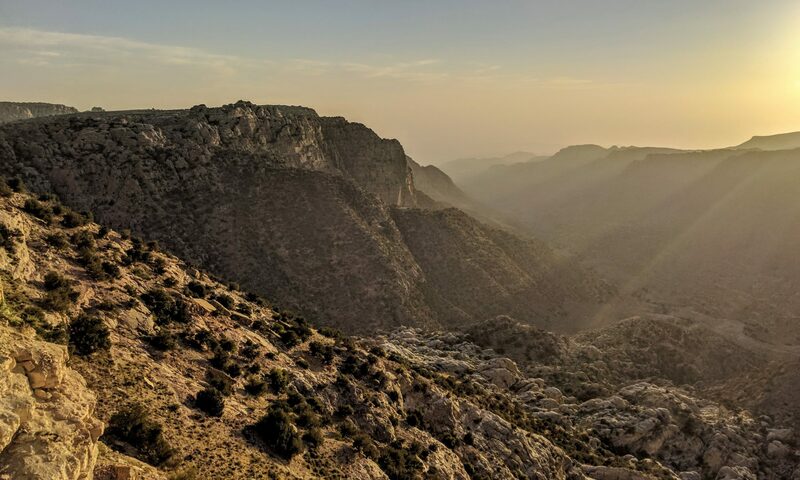 Stakes are high for the locals (wadi rum and disah villages), as the winner of the race gets 3000 JODs and a golden sword! Hungry in Amman: go to the second circle in Amman and have a delicious shawarma for 1.25 JOD in Reem Cafeteria. Still hungry? alright ! Then go to Tamryeh Omat, and get some awamehs or zinab fingers ! L’institut français de Jordanie – IFJ” proposes various and numerous cultural activities: theater, movies….Last month, a big event called “la semaine de la Francophonie” was a very good occasion to discover a french culture…often for free! Please save the date for March 2019! and finally….the French “baguette”: as far as we know, the bakery “Foron Rex” in Swefieh (opening hours: morning only) has interesting french homebaked bread…and croissants! Thank you Bastian for this series. We hope you’ll get other contributions, it is very interesting to see how different countries citizens get accustomed to their life here !